Kershaw Atmos 4037. This clean and practical knife was designed to be super easy and comfortable to carry. 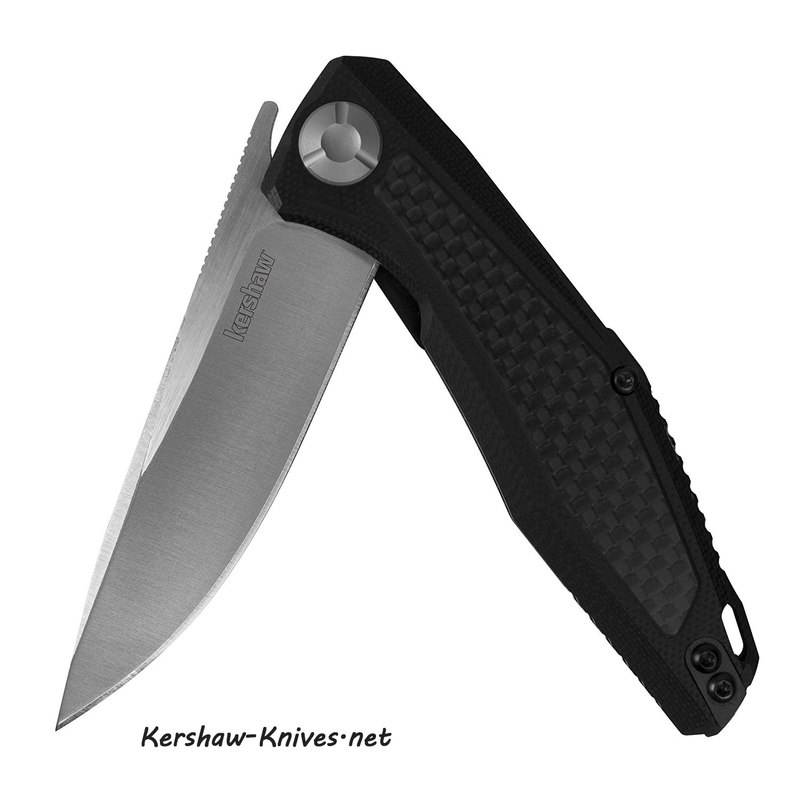 It has a smooth and light-weight G10 handle with a secure inset liner lock and utilizes a 3 inch satin finish blade with satin sanded flats. The Atmos also features a custom oversized pivot, a backspacer with wide lanyard attachment, and a reversible, deep-carry pocketclip. 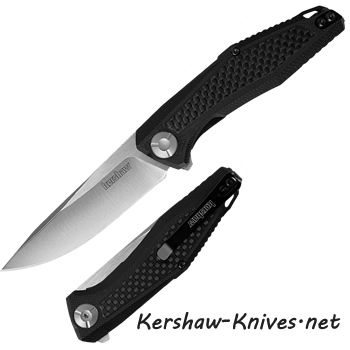 It opens quickly and easily with Kershaw’s KVT ball-bearing opening system. 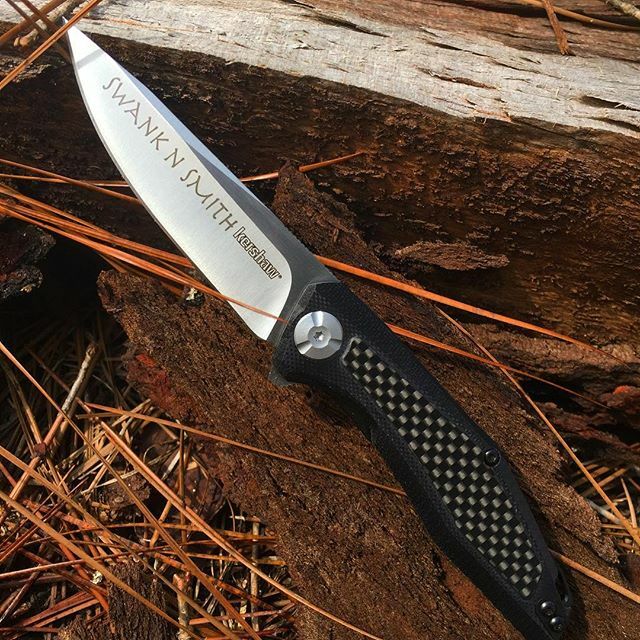 In fact whe you swipe the flipper opener on the spine of the knife this knife will deploy with the speed of that found in automatics and assisted openers. The beautiful carbon fiber overlays makes the Atmos a must have!